Sometimes my pictures just don’t do justice to how amazing a recipe truly is. And that is totally my fault – not the fault of the food! This is one of those dishes. It’s really difficult to photograph an all-white dish. I tried to sprinkle a little green parsley on there to give it a bit of color but nevertheless, it still manages to all blend together. 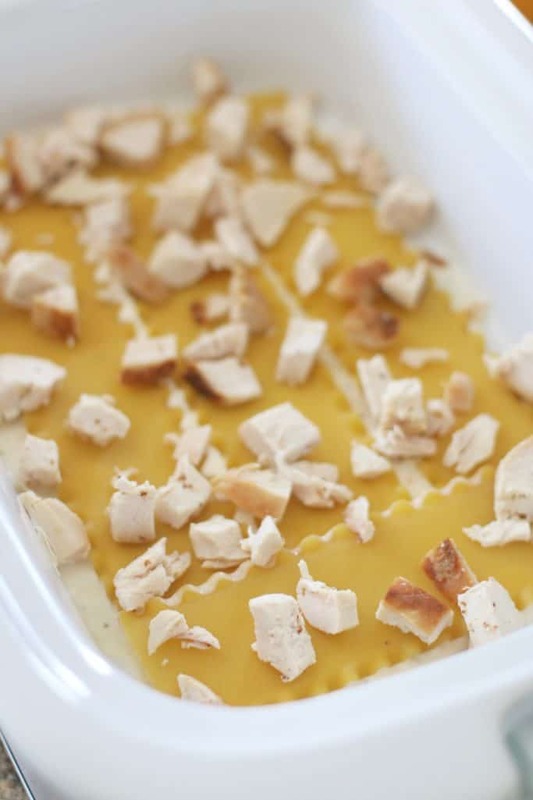 But no matter, because once you try this dish, you will be in love. It really is that good! 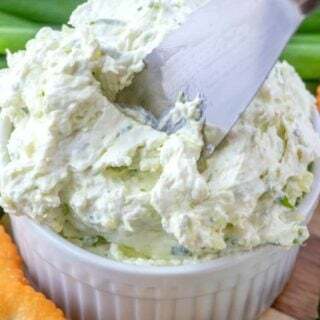 My husband, who is extremely picky in every sense of the word, said this recipe has to be one of his top favorite recipes ever. So, you’ll have to take my word for it when I say that is high praise indeed. My son loved it too. So I feel like I’ve won a blue ribbon on this. Cook’s Note: Shredded mozzarella cheese not pictured. Forgot to throw it in the shot. Oops. Also, be sure to get the “family-size” rotisserie chicken. They are larger and will provide more meat. First, cut up your rotisserie chicken. You can remove the skin or leave it on – up to you. Set aside. Next, in a separate bowl combine Italian cheese blend with ricotta cheese. Mixture will be thick. 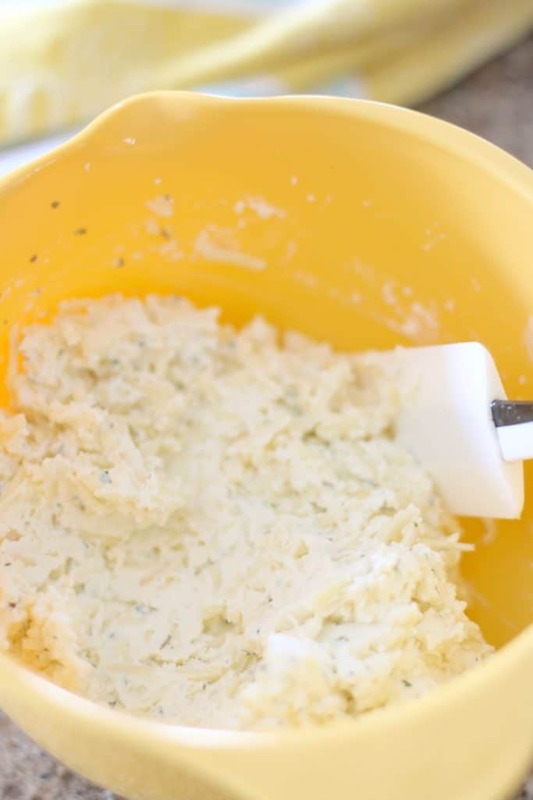 Finally, in a third bowl, combine both jars of alfredo sauce with water, Italian seasoning and garlic. Whisk until combined. Now, time to assemble the lasagna layers. 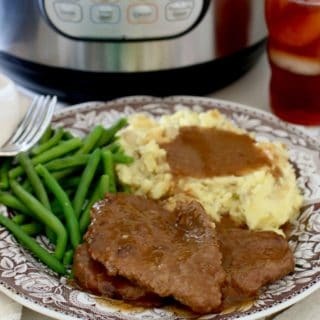 I am using the Crock Pot Casserole cooker for this recipe. However, you can do this in a 4-quart oval slow cooker as well. 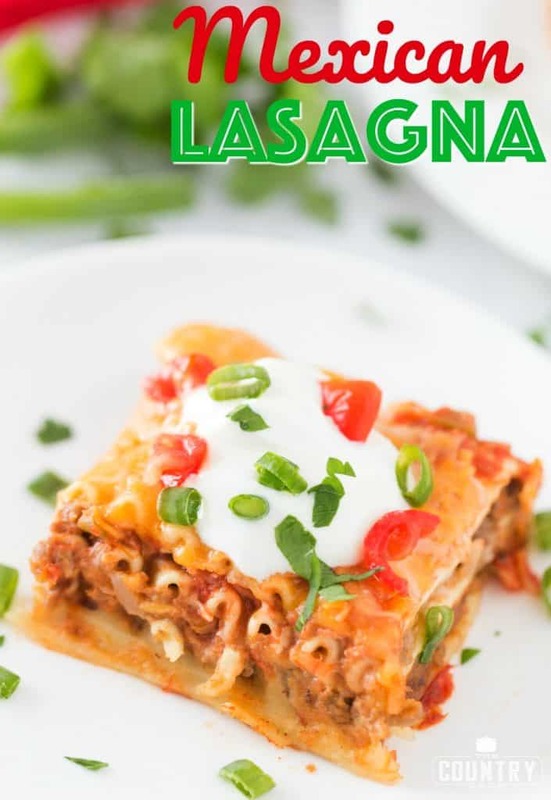 Just break up the lasagna noodles as needed to cover any open spaces. 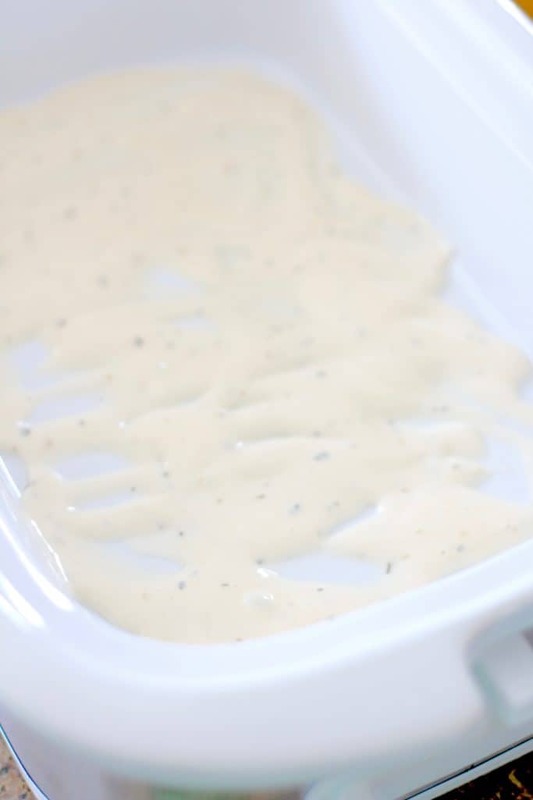 Spread 1/4 of the alfredo sauce into the bottom the slow cooker. 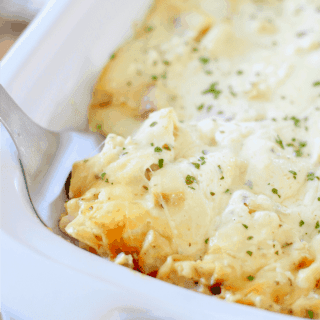 Arrange 3-4 lasagna noodles on top of the alfredo sauce (break noodles to fit.) It’s okay if some of the noodles are slightly layered on top of each other. 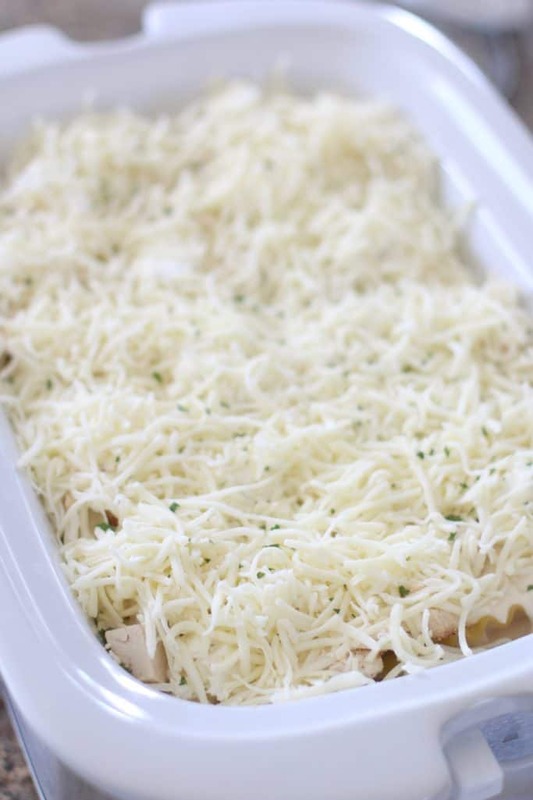 Spread 1/3 of the chicken on top of lasagna noodles. 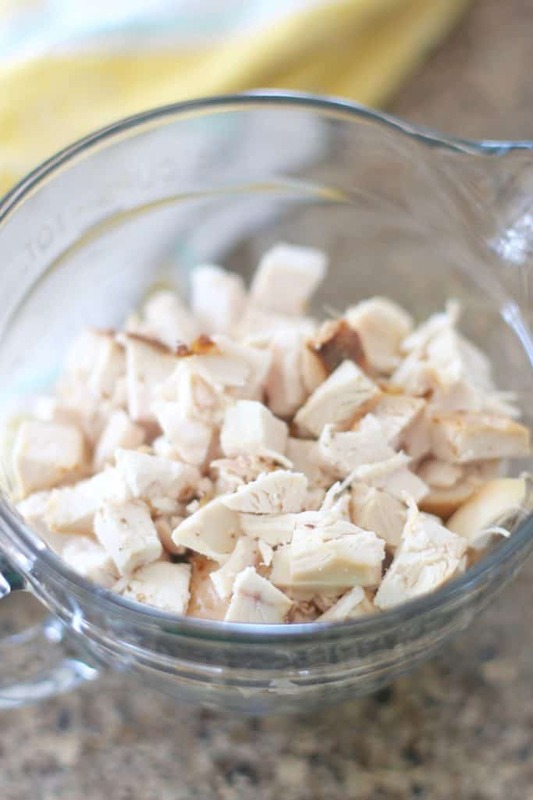 Then spread 1/3 of the cheese mixture on top of the chicken. I just take a spoon and dot it all around. Cook’s Notes: Slow cookers are not all the same so my advice is to check your lasagna after 2 1/2 hours then keep an eye on it after that point. This isn’t really a set-it and totally forget-it type crock pot meal. 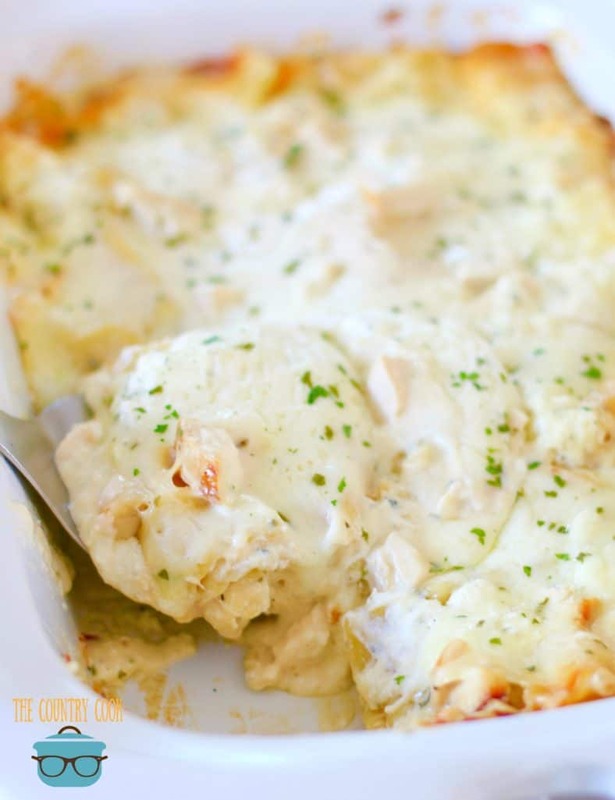 Crock Pot Chicken Alfredo Lasagna is one of the most easy and amazing recipes ever! No-cook noodles, chicken, alfredo sauce, garlic and mozarella cheese! First, cut up your rotisserie chicken. Set aside. Next, in a separate bowl combine Italian cheese blend with ricotta cheese. Finally, in a third bowl, combine both jars of alfredo sauce with water, Italian seasoning and garlic. 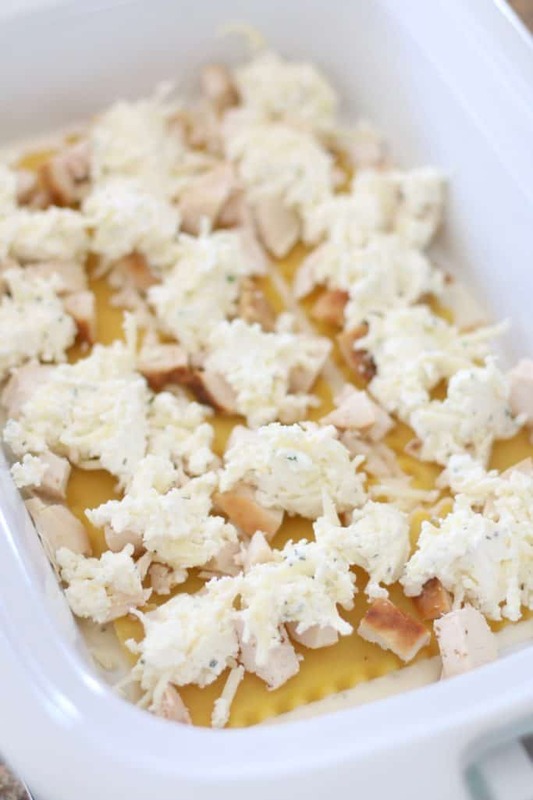 Then spread 1/3 of the cheese mixture on top of the chicken. Then repeat these same steps two more times (alfredo sauce, noodles, chicken, cheese mixture.) 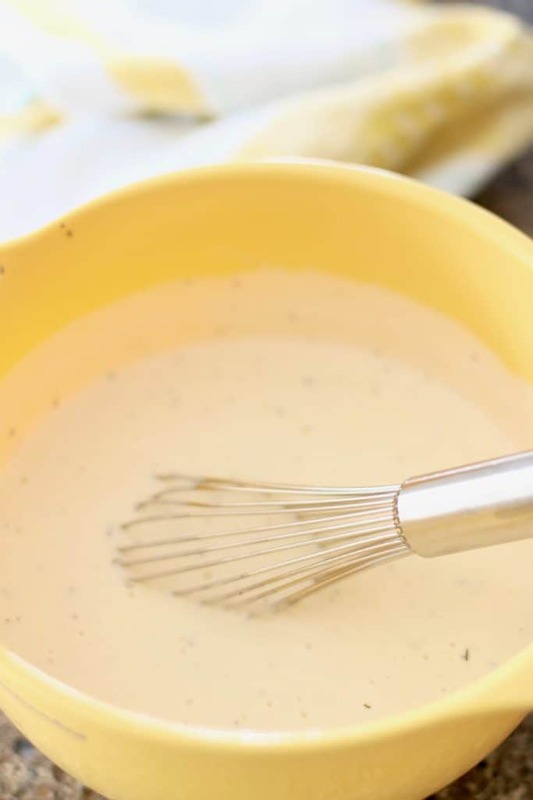 Try to make sure the alfredo sauce covers to the edge of the noodles. This will help the noodles cook properly. I really need to get one of those crock pots!! 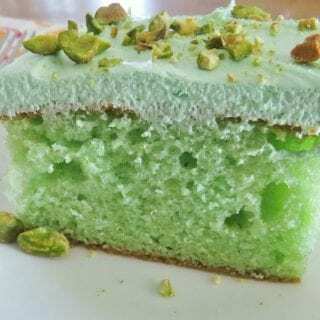 This looks delicious and I know it would be a hit here as well! It works really well for all kinds of recipes. Stuffed peppers or any kind of casserole. I really do enjoy it! Great idea! 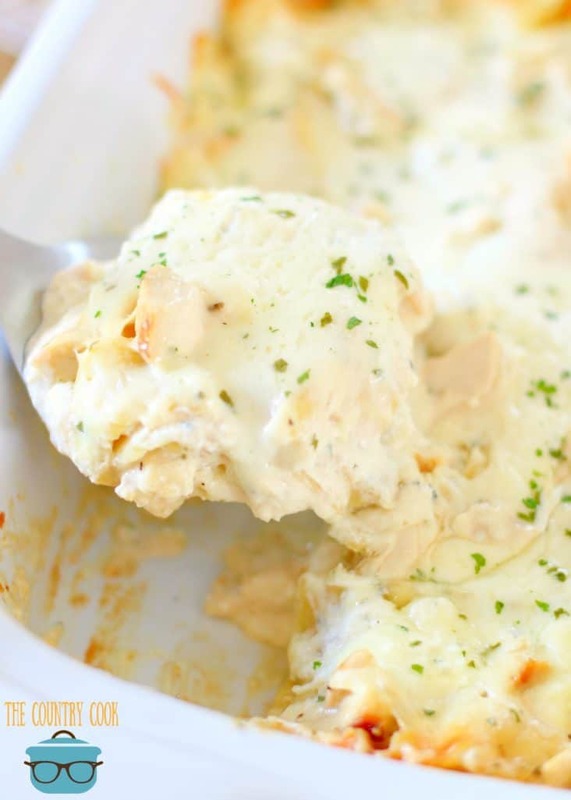 I've made regular lasagna in the crock pot but never thought about chicken and alfredo. Thanks for sharing. It's SO hard to take a pretty picture of something with so much white – ha! But I promise – this is really so, so good! I will make this and I ordered that crock pot too!!! Ha! I love it! You will really enjoy it! 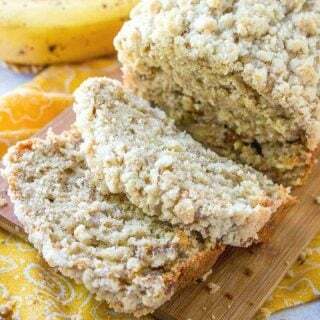 And I hope you love this recipe too! Also can you make this in the regular over instead of a crock pot? 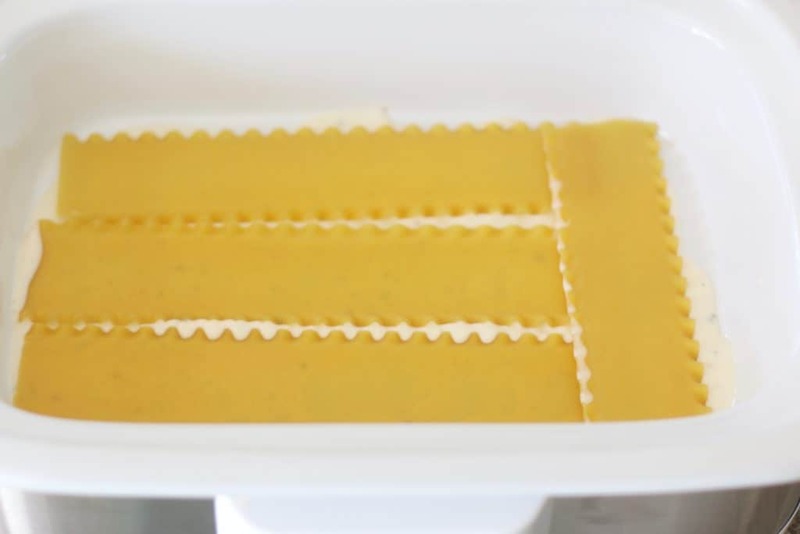 was the noodles you placed in the slow cooker already cooked or do you put them in dry? 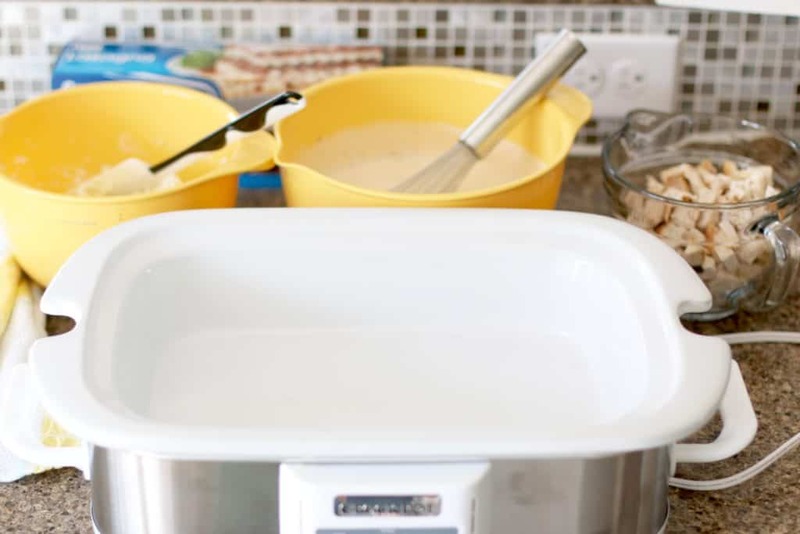 Where do you find a square slow cooker? Also, I made this – it was SO good!! This looks so fantastic. 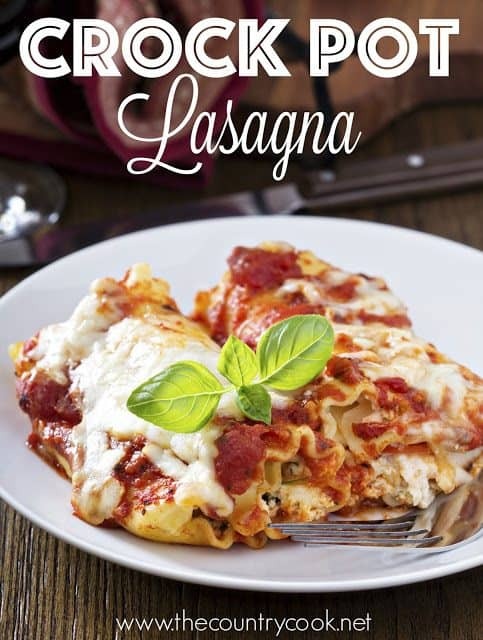 My youngest son loves lasagna….and we've never had a white one before-he'll flip! 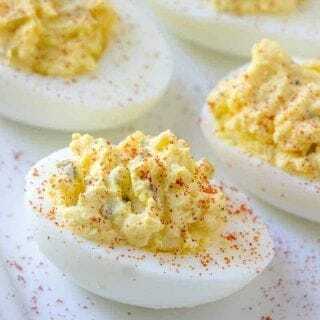 Making this soon. And on another note, that crockpot is amazing..must buy one of those soon too!!!!! 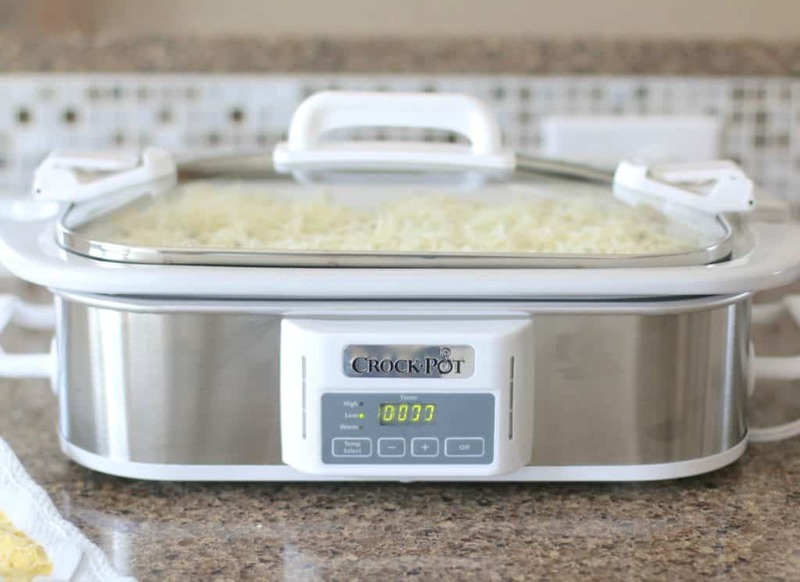 and NOW I want a big crock pot like that! LOVE! Hahaha! 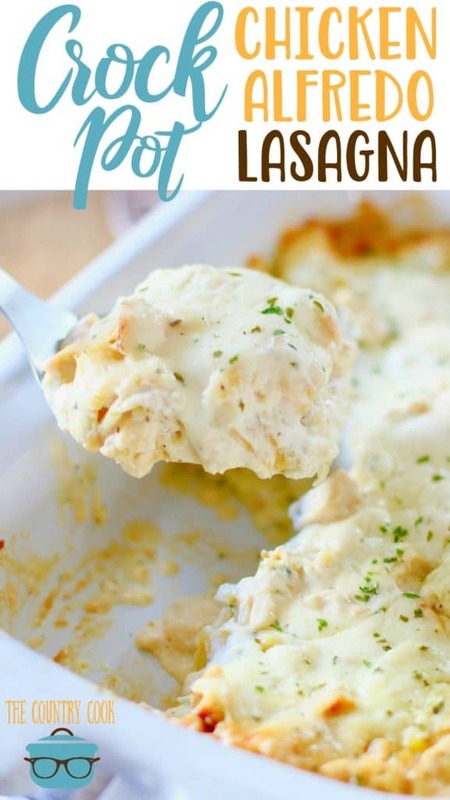 It comes in handy for these casserole type dishes! 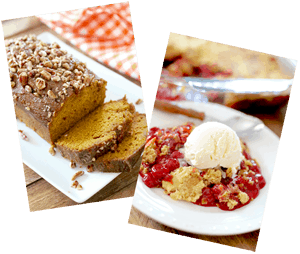 What happen to the pecan pound cake? I just came across your recipe on Pinterest. 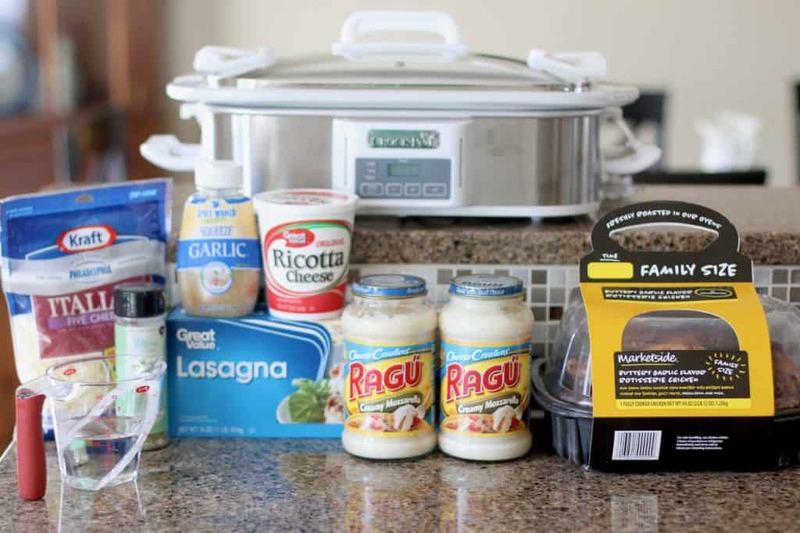 I had no idea you could make lasagna in a crockpot! I never even saw a crockpot like yours! I’m going to try this recipe because my 27 year old oven finally broke & it really limits what I can make for dinner! Thank you! Can not wait to try this! My daughter (11yrs old) has developed an allergy to all things Tomato. Which is really sad because she loves them so much. She used to eat them for breakfast even! I did not realize how much, or often we used tomato products until we had to stop using them. Oh and in July, she announced she was now vegetarian. Instead of chicken, I am going to toss a bunch of veggies in it. Already thinking of mushrooms, broccoli, cauliflower, maybe asparagus or artichoke hearts. Really excited! Thank you!!! 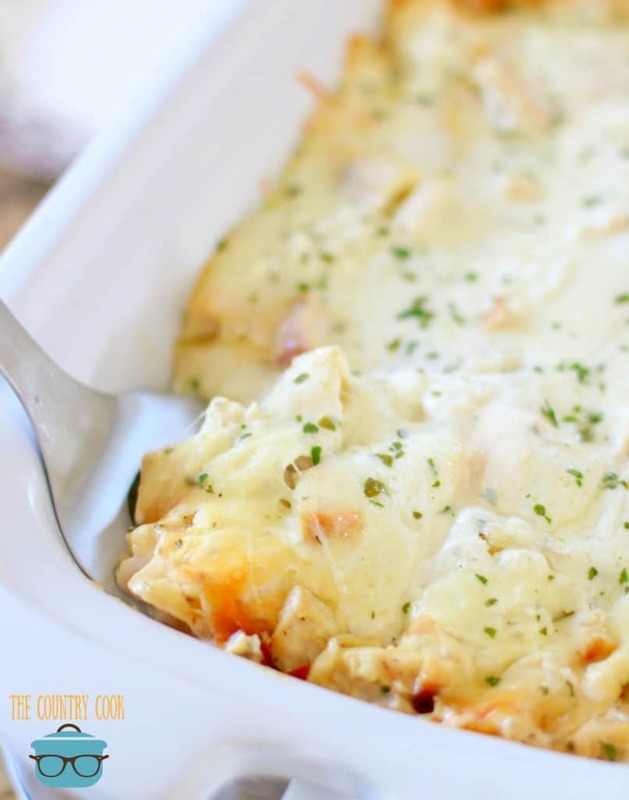 I would like to make this for a carry-in at school but wanting it to be more of a casserole. Do you think I could use rigatoni or ziti noodles instead of lasagna noodles? Made this tonight and my family loved it. We all love chicken Alfredo,, so I just had to try it. Easy re pie and took about 3-3 1/2 hours. In the casserole crockpot. (First time I’ve used it). 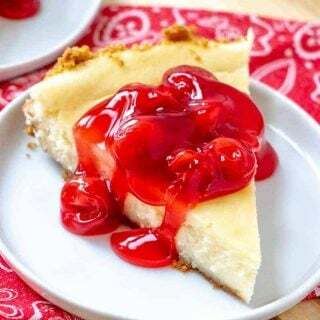 Thanks for a great recipe!!! Made tonight. To much cheese for me. hello Brandie, I,m Inge . I like to let you know the cooking time on your ” crock pot chicken alfredo lasagna” is a bit incorrect ( cook time 4 min. total time 19 min. ) sorry to point it out. I DO love your recipes. thank you so much.